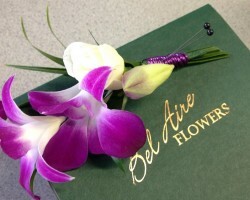 Every aspect of your wedding is going to be special, but the entire occasion can be made even more romantic with arrangements from Bel Aire Flowers. This shop offers a selection of beautiful blooms that are not only colorful but also made fresh so they will be at their peak of beauty on your big day. As florists in Milwaukee, WI, this company works to accommodate for any floral wants or needs a couple may have for their once in a lifetime wedding day. 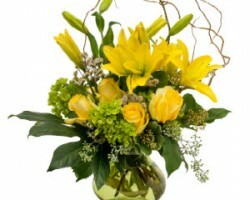 Buds ‘N Blum is a company that offers everything from special occasion arrangements to flower delivery in Milwaukee. With a wide selection of flowers that range from the classic roses to the more exotic or seasonal options, you will be able to have the flowers of your dreams surrounding you as you walk down the aisle and celebrate with your family and friends. According to reviews, one of the best things about working with this service is the guarantee that their flowers will always be fresh for the big day. Abbey’s Flower Nook is a company of growers and designers that work together to provide their customers with the best products. You can work with this service to send a friend an arrangement for their birthday or design wedding flowers that will surround you on the biggest day of your life. This is one of the local Wisconsin flower shops that work to keep their prices as affordable as possible. This means you can buy more fresh flowers for your wedding. You could work with a company that just offers arrangements for birthday and holidays or you can work with Petals Floral Design and have beautiful custom flowers throughout your wedding. 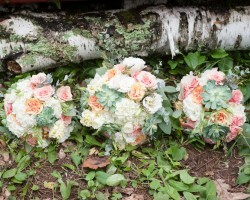 From a bouquet that matches the style of the entire event to using outside items in collaboration with flowers to create unique centerpieces, this company will be creative with every aspect of your wedding flowers. This makes the décor even more special and more personalized than you may have ever thought was possible. Whether you would like to pick one kind of flower, have a unique combination or stick with one color, the experts at Parkway Floral can help make your wedding flowers perfectly suit your needs. This Milwaukee florist has years of experience helping their customers create everything from magical décor and personalized bouquets. With affordable prices, complete flexibility and friendly customer service, you cannot go wrong when you choose to work with this team. 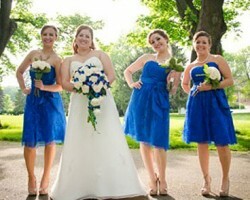 The results are always beautiful and always bring the vision you had for your big day to life.